Please call or email for current prices so there is no confusion. During spring break you must be 25 to rent. Look at the photos of this elegant condo, you will see the large screen TVs with High Definition (HD). You will not see cheap wicker furniture,you will see new, comfortable, contemporary furniture that will make your stay here one of your best ever. 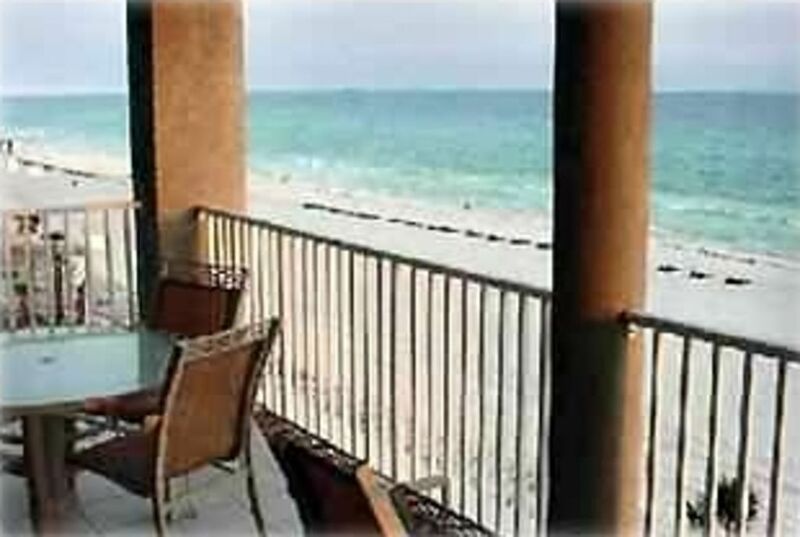 This Vacation Rental is located at Long Beach Resort, Tower 2, 5th floor, one of Panama City, Florida's Finest and Most Exclusive Condominium Properties! The two bedroom, two bath, elegantly furnished, luxury, beachfront, vacation condo is situated on the fifth floor, located at Long Beach Resort and will accommodate up to eight people. Pets are NOT allowed, No Smoking. Enjoy the relaxing tropical breezes, the sound of the surf, and view gorgeous sunsets from the balcony of this beautiful luxury condo, where bedrooms and living area overlook sugar white sand and beautiful blue-green waters of the Gulf of Mexico. For more information and reservations call (see below under contact information). Also call.